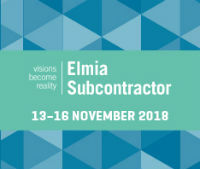 Elmia Subcontractor is one of the most important events for suppliers of the electronics industry in Northern Europe. This year's edition will be attended by nearly 1,200 exhibitors from over 30 countries. For four days, specialists in the field of automation, traffic maintenance or electronic and electrical engineering will be able to familiarize themselves with the latest industry trends. We encourage you to visit the TME stand, where we will present new products from our offer.